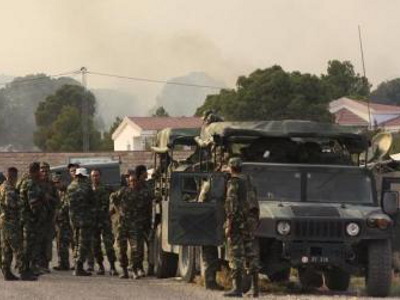 Tunisian Special Forces killed three suspected Islamic State militants after clashes in mountains near the Algerian border, a security official told Reuters. Days earlier, Islamic State released pictures of militants carrying weapons in mountains where they have hidden for years. After collapsing, tourism has gradually recovered.